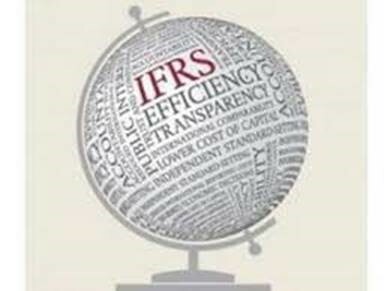 The International Financial Reporting Standard 17 (IFRS17) was recently launched by the International Accounting Standards Board. This standard replaces IFRS 4 and will have a significant impact on many insurers today. Specifically, it targets transparency within the industry. This long-awaited change will impact the way today’s insurers operate on a day-to-day basis. Take a closer look at what this change is and how it will impact you. It’s also important for organizations to put in place new methods for minimizing risk and optimizing opportunities under IFRS 17. IFRS Industry Developments: What Is IFRS 17? For many in the industry, IFRS 17 is a welcome change. With it will come a significant change in the information users of financial statements will receive. In short, it will open the hidden information that seems to be present in today’s insurance accounting world and shed more transparency on insurers. It will also help to create more level footing among insurers internationally for the first time. It will increase user insight into the insurer’s financial health to a level not available previously. In many ways, it will change the way analysts interpret and compare companies across borders. To achieve this, IFRS 17 creates standards for reporting, making the process equal and easily comparable regardless of where an insurer is located. While this equal footing seems like a good thing, it will bring with it numerous complications and additional steps for insurers to take. That’s where the key challenges lie. This is a complex standard that will have significant liability measures and profit recognition components to it. It will not be easy to implement and will place a significant burden on insurers to provide more detailed, clear information. What Do Insurers Need to Do Now and Why? How will these changes impact today’s insurers? First, it will alter profitability patterns. There will be more information transparency about what’s driving profit and equity levels will be clear. With more insight into an insurer’s true financial performance, decision makers are likely to change the way they report and manage their business. Insurers will face numerous challenges including year-end reporting timetables, data collection and storage changes, and resource planning. Right now, insurers need to educate and train their teams on IFRS 17. They should consider an impact assessment for operational and financial processes. And, they should implement a solution that can address all the complexities IFRS 17 brings with it. Solving these challenges doesn’t have to be as difficult as it may seem for insurers. The SAP Insurance Analyzer offers a compelling solution and is unique for several reasons. This solution supports IFRS 17 requirements based on a well-established integrated finance & risk architecture that has evolved over many years. It also provides comprehensive business content reflecting the new standards that help your organization comply with all mandated regulations, accelerating your implementation project and reducing risk. To achieve this, SAP Insurance Analyzer provides a single system that’s fully auditable from the general ledger transactions down to the source systems of record. A key benefit here is that it offers a single point of truth for transformed, source and accounting data. That’s essential under this new standard, and the SAP Insurance Analyzer makes it seamless to access this information when necessary. Other key benefits include standard interfaces for ease of use, flexibility and functionality that makes utilizing the tool simplistic, with outstanding data quality. And, as it becomes necessary under IFRS 17, SAP Insurance Analyzer can also support international insurance companies with different currencies and legal requirements. While the development of IFRS 17 has taken years, many organizations have yet to prepare for its implementation. It takes effect in January of 2021, which may seem a long way off initially. Yet, without a scalable tool like SAP Insurance Analyzer in place, many organizations may struggle.